1. The mobile interface were changed that makes it easy for users to catch the information and use the service with ease. 2. 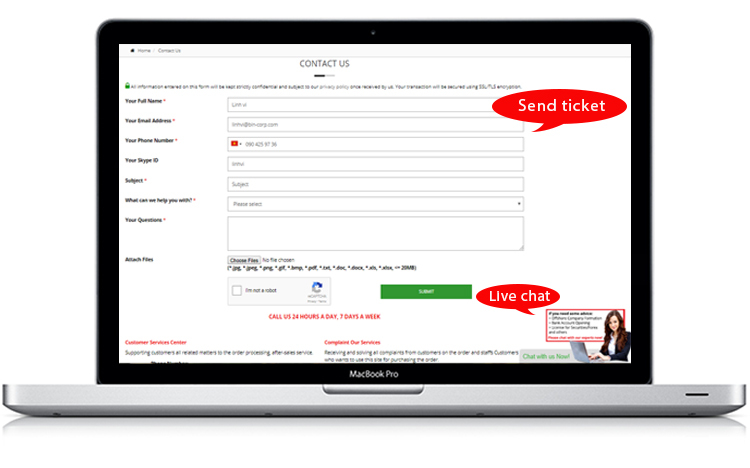 Customer services were updated with Worldwide phone support system, Live chat system and Send Ticket service. If you have any confuse about our services, you can directly contact us through the Worldwide phone support, or Live chat system without having sent emails to us then take time to wait for answers as before. We also offer the Send Ticket service that help you get the tickets quickly and easily. 3. A lot of new services are updated include: Shelf Company List, Change Agent, Tax Report & Annual Return, Trust Formation & Asset Protection, Licensing For Your Business, Trade Mark, Accounting and Auditing, and Company Strike Off. Now you will have more choices that will be considered to be the best fit with your demand of service. 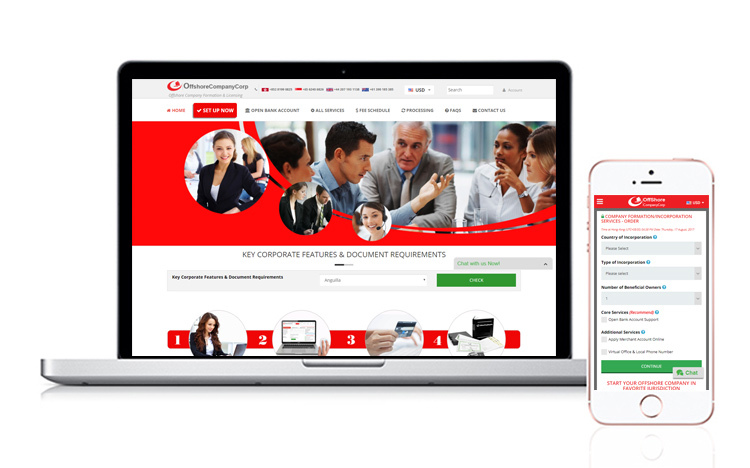 All related matters to the order processing, after-sales service will be solved promptly.